Bokwang, South Korea – The FIS halfpipe World Cup Tour culminates this week with the official test event for the 2018 PyeongChang Winter Olympics. The qualification round was held on Thursday, with U.S. Freeskiing advancing seven athletes to the final. Colorado’s Torin Yater-Wallace led the charge for the Americans, grabbing the top qualifying spot for the men, with good friend Alex Ferreira of Aspen right behind him in second. Colorado skiers dominated qualifiers with Aaron Blunck (Crested Butte, Colo.) and Taylor Seaton (Avon, Colo.) also scoring passes to the final. Yater-Wallace, Blunck and Seaton are fresh off an American podium sweep at the most recent World Cup event, the Toyota U.S. Grand Prix at Mammoth Mountain. Other men qualifying for Saturday’s finals are Nico Porteous of New Zealand, Canada’s Simon D’Artois, Mike Riddle and Noah Bowman, and Kevin Rolland and Benoit Valentin of France. The American ladies also had an excellent showing on Thursday, qualifying three to the six-woman final. Devin Logan, of West Dover, Vt., took the top spot for the Americans in second, behind Marie Martinod of France, with Canada’s Cassie Sharpe. Logan will be joined in the final by Brita Sigourney (Carmel, Calif.) and Annalisa Drew (Andover, Mass. ), as well as Ayana Onozuka of Japan. 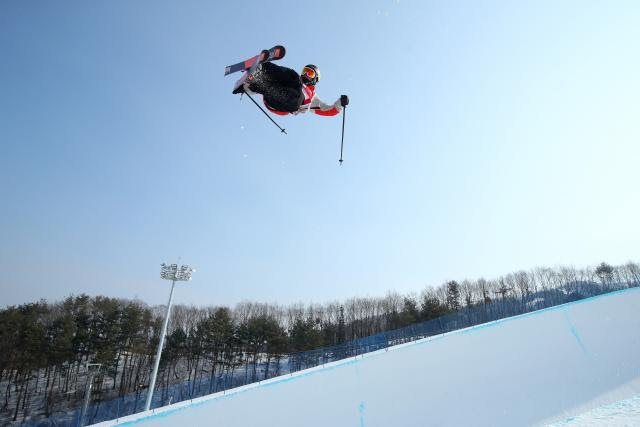 Finals for the halfpipe are scheduled for Saturday, 1:30 p.m. local time at Bokwang Phoenix Park.